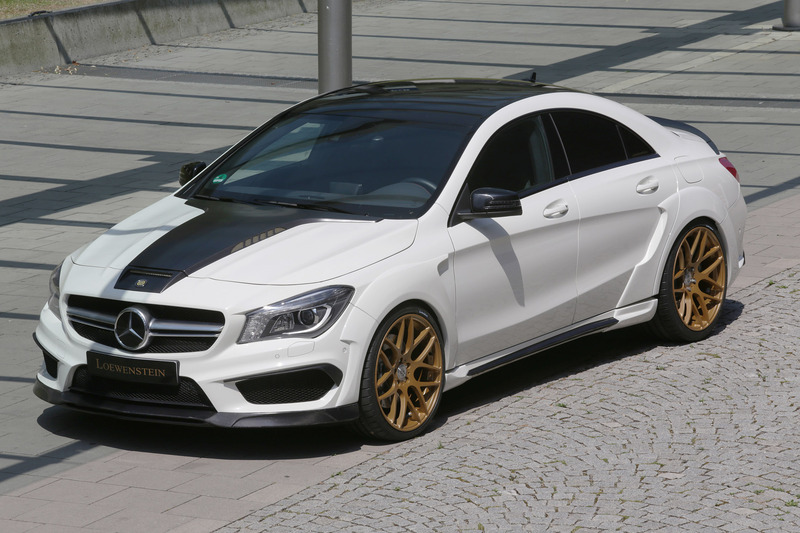 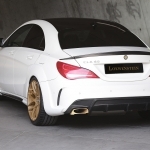 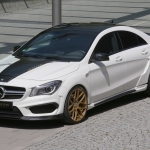 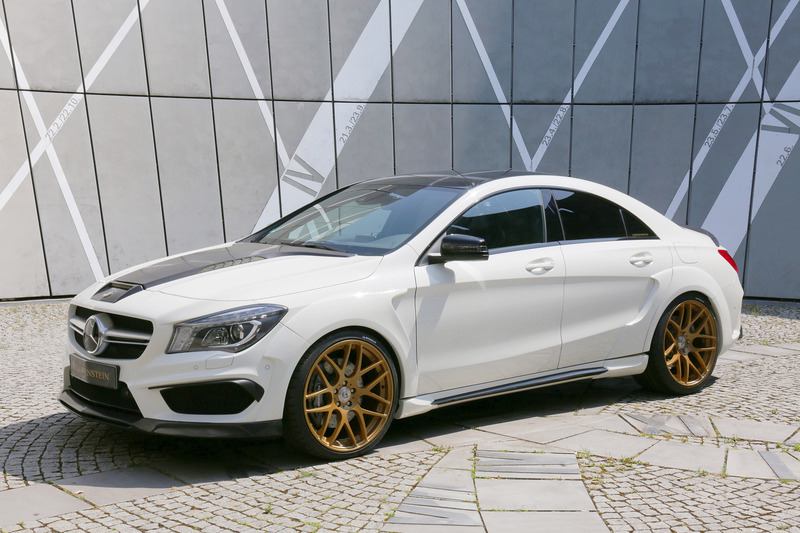 A very young star on the Mercedes Benz Tuning firmament has presented for the first time its new creation: The LOEWENSTEIN Manufaktur is unveiling its new model “CLA SAPHIR LM45410 Turbo”, which is based on the top model of the current Mercedes Benz CLA-class, the CLA45 AMG. 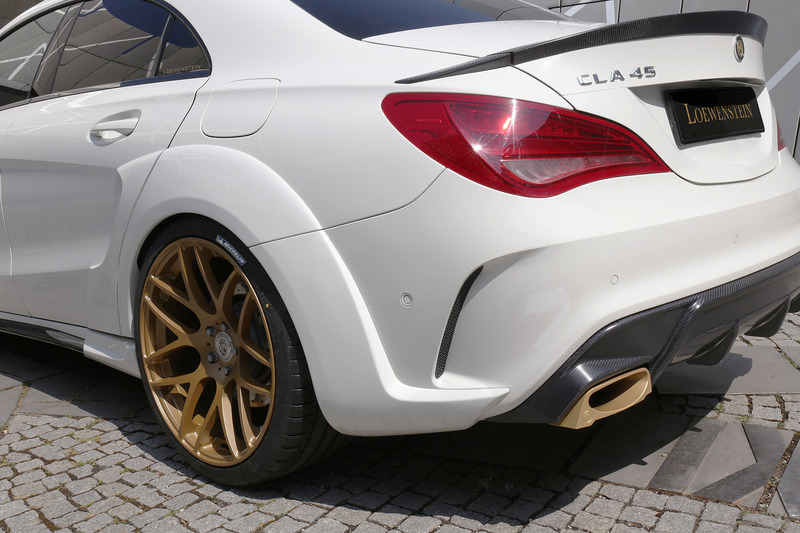 Even in the standard status, this 4 door Coupé sports car with its turbocharged 2-liter R4 drive mechanism with 360 horses and a maximum torque of 450 Nm is definitely the most powerful 4 cylinder worldwide. 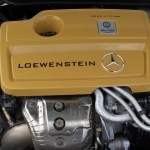 Yet, only the best is only good enough and therefore the LOEWENSTEIN thus developed a company’s own additional module with digital processor, which has been conceived as an easy Plug&Play system. 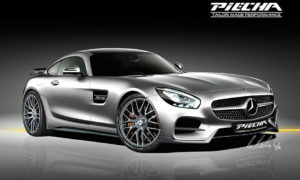 Fully reversible in less than 1 hour work, the additional module extracts fabulous 410 HP and 530 Nm of torque. 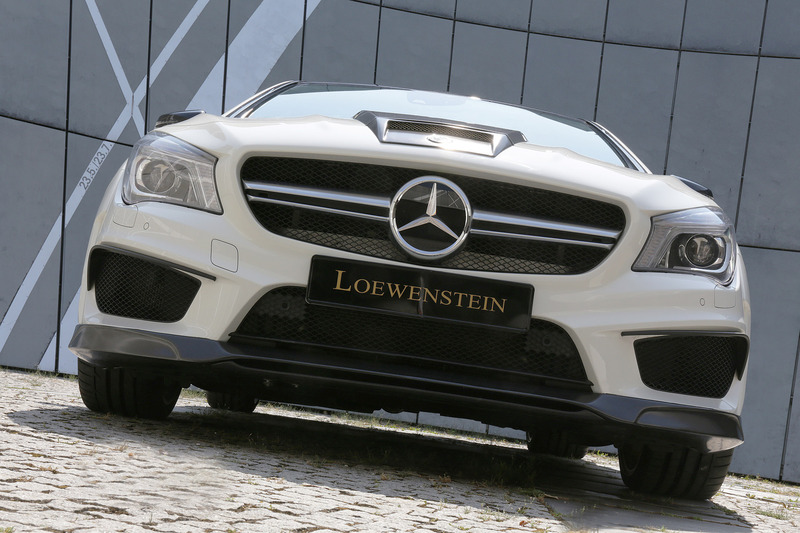 In combination with a LOEWENSTEIN downpipe with sport catalytic converter and a full carbon fiber engine hood with integrated induction air-intake, incl. 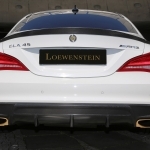 sport air filters we are able to even achieve a peak performance of 425 HP and maximum torque of 540 Nm. 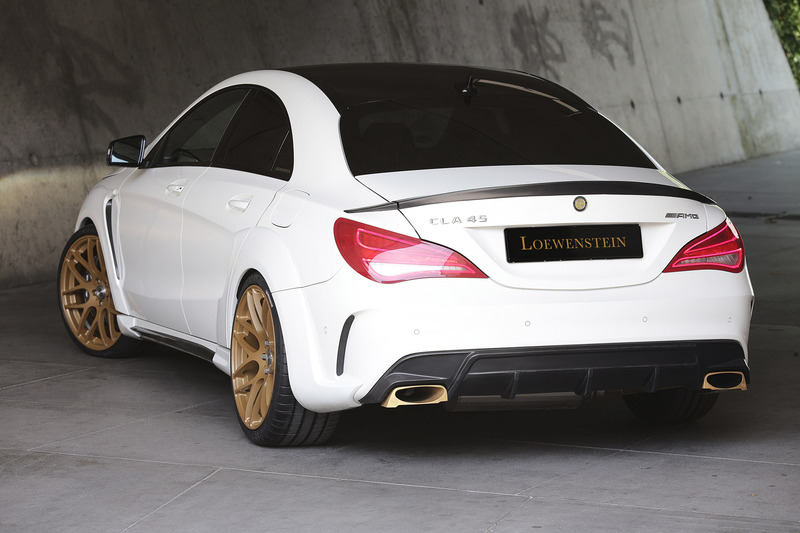 LOEWENSTEIN Manufaktur gave the CLA an optical refinement with the company’s own carbon fiber aerodynamic program, which includes a stunning, brutal, but at the same time discreet wide body: The Loewenstein CLA SAPHIR widebody is basically manufactured in very light carbon fiber compound and and emphasized a spectacular optical power gain in the overall silhouette of the middle-class Coupé. 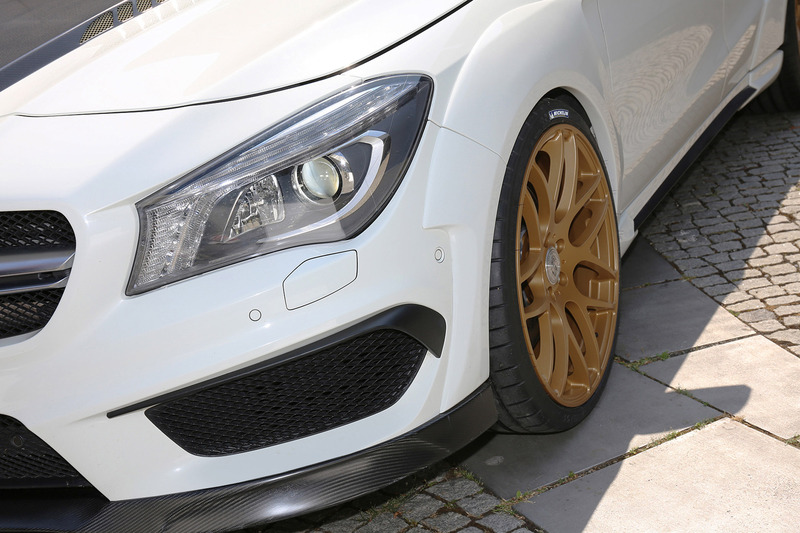 Its 20 mm widening per side on the front axle is completed with a carbon fiber front spoiler RS. 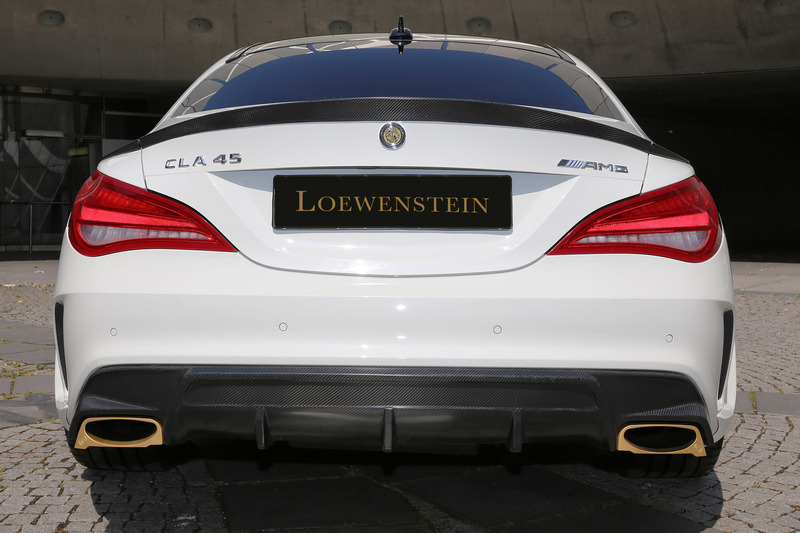 At the same time, the massive tail with its 40 mm widening per side is underlined with a 3 piece carbon fiber trunk spoiler with same harmony and also receives, if desired, the LOEWENSTEIN brand recognition feature with the carbon fiber rear diffuser RS and the milled design exhaust end tips. 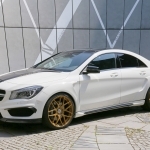 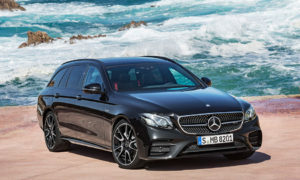 On the axles of the new muscle car, the LOWENSTEIN Manufaktur screwed its single-part rim design “CONCAVE” in the sizes 8.5x20 and 10x20 inches with slip-proof Michelin Pilot Super Sport high-performance tires of the dimensions 245/35 ZR20 on the steering axle and 285/30 ZR20 for perfect surface contact of the AWD high powered 4 cylinder Coupé. 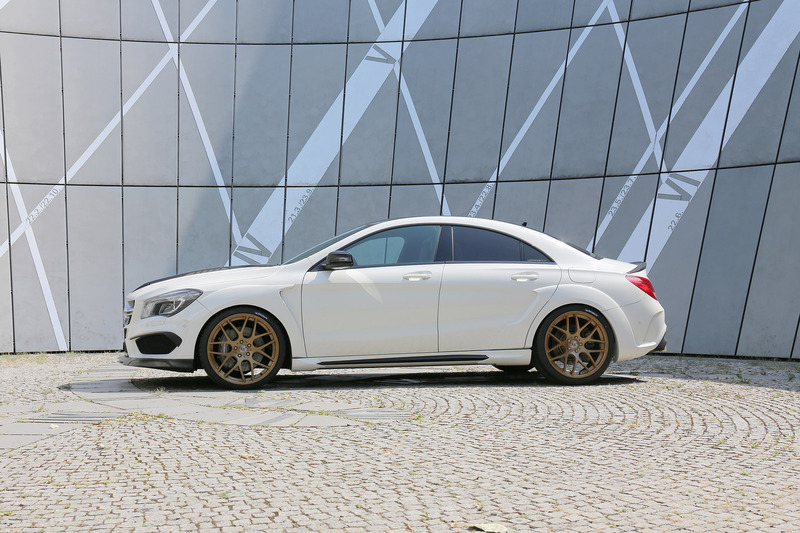 A 3 piece wheel option with the "RENNSPORT" rim design is also available in 20 inch. 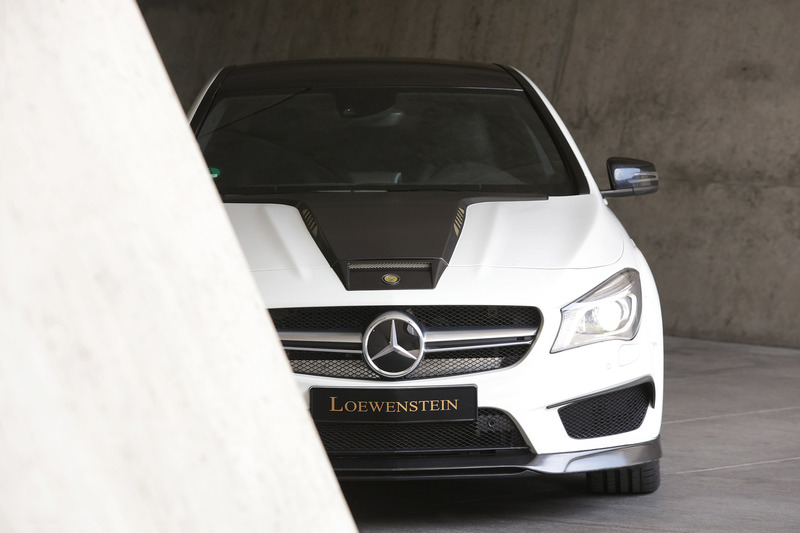 Of course, LOEWENSTEIN Manufaktur did not also leave the passenger compartment untouched: The noble LOEWENSTEIN carbon fiber interior also covers the steering wheel, the door decorative strips and the dashboard appliances, incl. 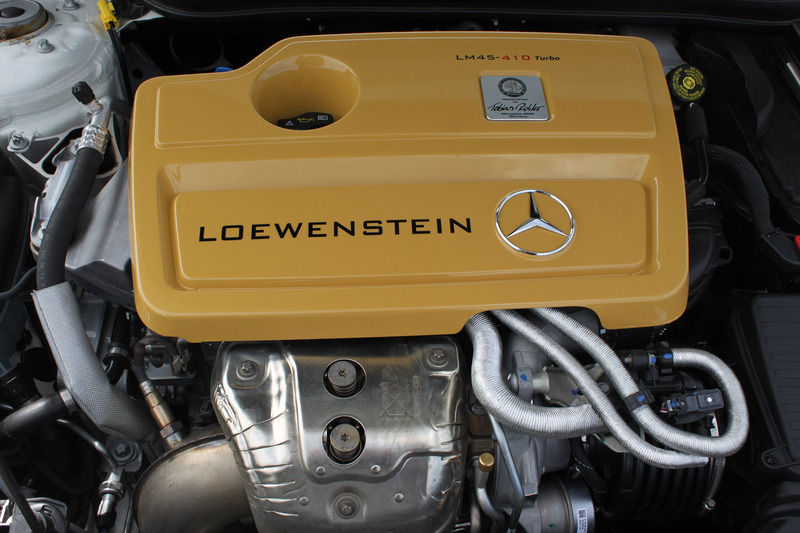 the middle console. 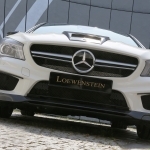 Car mats and baggage compartment protectors made of soft velour are available, as well.